Former O’Leary supporters say why they support—or don’t support—Bernier. 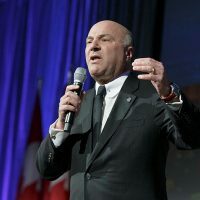 Former Conservative leadership contestant and business tycoon Kevin O’Leary said he had to put aside his ego for the greater good of the party. 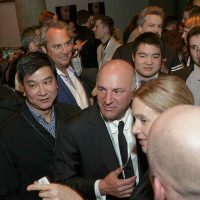 Mr. O’Leary’s sudden departure from the Conservative leadership race last month meant that all of his supporters were up for grabs for the 13 other candidates. Crystal Smalldon says she worked on Mr. O’Leary’s campaign as an organizer for Ontario’s “golden horseshoe” region. 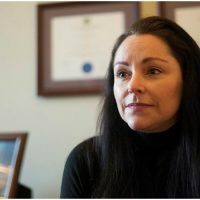 After Mr. O’Leary announced his decision to leave the leadership race, Ms. Smalldon said she received seven phone calls within the hour from competing campaigns asking for her support. She decided to support Andrew Scheer (Regina-Qu’Appelle, Sask. 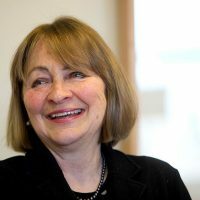 ), whose campaign she is now working for. Mr. O’Leary’s former campaign chair, Mike Coates, who is now supporting Mr. Bernier, responded by saying, “virtually all our volunteer provincial [chairpeople] and organization outside of Quebec came to Bernier. 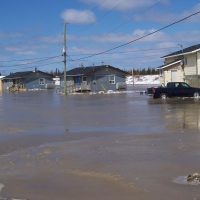 Quebec is the exception where it was about half.” He said he did not know Ms. Smalldon. 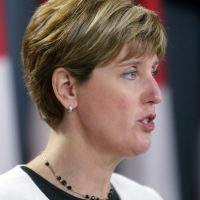 But Mr. O’Leary said that even if 20 per cent of the members he signed up for the party made Mr. Bernier their first choice for leader, it would have a big impact on Mr. Bernier’s outcome. 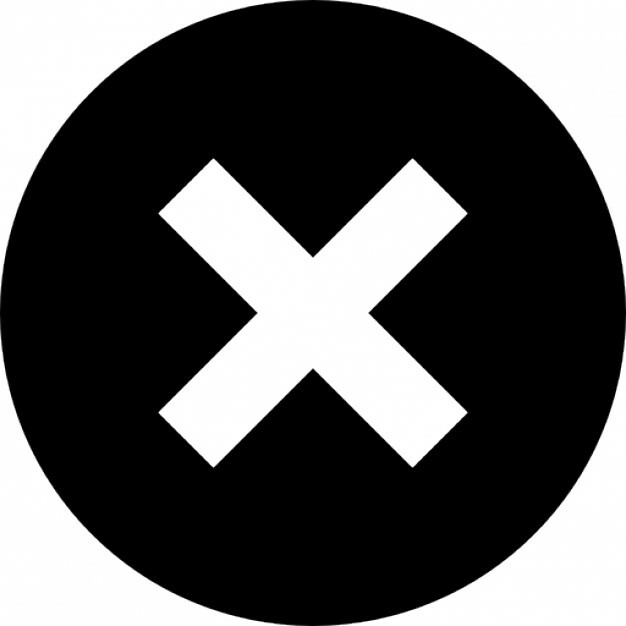 Notably, three of Mr. O’Leary’s organizers in Quebec did not follow him to Mr. Bernier’s campaign, and instead publicly announced their support for Mr. Scheer, including Norm Vocino, Mr. O’Leary’s former “chief organizer for Quebec,” as a press release from Mr. Scheer’s campaign put it. 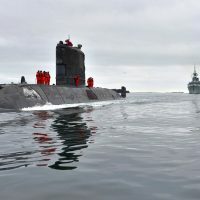 But Mr. Bernier dismisses the suggestion that he is lacking in support from Quebecers, saying that his own polls show him at 58 per cent popularity in his home province. Mr. O’Leary maintains that the one factor that led to his dropping out of the leadership race was his own lack of support in Quebec, and he doesn’t think Mr. Bernier has that same challenge. “If you can win 30 seats in Quebec, you can see the path to success,” Mr. O’Leary said. Of course, Conservatives will remember that former prime minister Stephen Harper won a majority government with only five seats in Quebec. “That’s not going to be the case in 15 months,” Mr. O’Leary said. 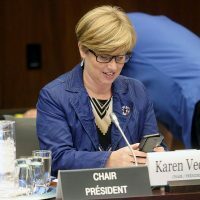 Presently, Ms. LeBreton remains undecided about who she’d like to see be the next leader of the Conservative Party of Canada, though she hasn’t ruled out Mr. Bernier being at the top of her ballot. She said she’s torn at the moment between four candidates: Lisa Raitt (Milton, Ont. ), Erin O’Toole (Durham, Ont. ), Michael Chong (Wellington-Halton Hills, Ont. ), and Mr. Bernier. From Mr. O’Leary’s advisory board, The Hill Times confirmed that Mr. Coates, Rick Perkins, John Capobianco, and Mr. O’Leary’s former campaign manager Chris Rougier are all supporting Mr. Bernier in the final weeks of this race. Several others, including an early caucus endorser of Mr. O’Leary, Guy Lauzon (Stormont-Dundas-South Glengarry, Ont. 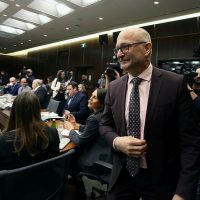 ), Perry Dellelce, and Todd Halpern, refused to answer any questions about who, if anyone, they were supporting in the race after Mr. O’Leary dropped out. 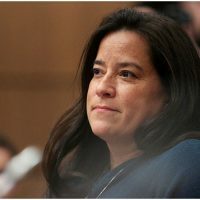 Others, including former Ontario premier Mike Harris, did not respond to a request for comment by deadline. Mr. Coates told The Hill Times that “most” of Mr. O’Leary’s campaign organizers are working for Mr. Bernier’s campaign now. The campaign organizers are separate from the advisory board Mr. O’Leary formed in the early days of his campaign. Since switching his support to Mr. Bernier, Mr. Coates said he has been busy ensuring that most of Mr. O’Leary’s campaign organizers, paid staff, and unpaid volunteers, are working to get Mr. Bernier elected. 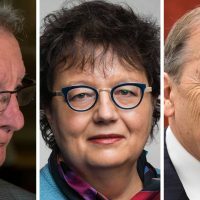 “I would say amongst the 35,000 [new party members] we signed, first choice will go to Bernier, second choice will not vote,” Mr. Coates said. “There will be a certain amount of erosion,” he added, insofar as some members who signed up only to support Mr. O’Leary might not vote at all. But he doesn’t think they’ll go to other candidates. 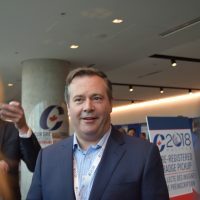 “From the research that we did prior to Kevin exiting, just prior, we knew that a minimum of 50 per cent [of supporters] would go to Bernier,” Mr. Coates said, because when polled, those supporters said they would choose Mr. Bernier as their second choice after Mr. O’Leary. “And then we knew that once he made a call, he could have an influence beyond that. He could boost that percentage up,” Mr. Coates said. Mr. Perkins, a former O’Leary organizer in Atlantic Canada, said he’s supporting Mr. Bernier, though it has nothing to do with Mr. O’Leary. 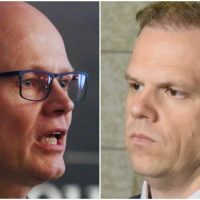 Mr. Perkins, who at one point sat as the party’s national treasurer, said he takes Mr. O’Leary at “face value” when he said his reason for backing out was a lack of support in Quebec. Ballots were mailed out to eligible members last month, around the same time that Mr. O’Leary left the race. His name remains on the ballot. Mr. Capobianco said he’s also supporting Mr. Bernier, though he was “surprised” and “upset” when Mr. O’Leary backed out of the race. But both Mr. Capobianco and Mr. Perkins had been considering Mr. Bernier before Mr. O’Leary entered the race, so they said it was natural they support him now. 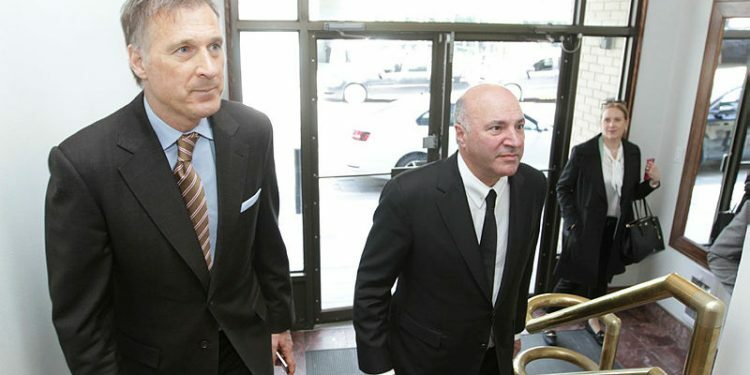 Speaking of, Mr. O’Leary himself is currently campaigning with Mr. Bernier while also being back at his job as a “shark” on the American business drama Shark Tank. 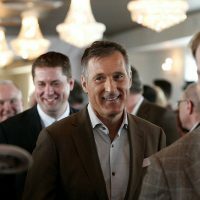 Mr. Bernier said he has seen a “huge” boost in support for his campaign since Mr. O’Leary’s departure and subsequent endorsement. 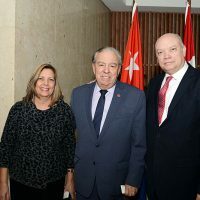 “We were tied, we were in very strong competition before that, but when Kevin decided to be on our side, I gained a lot of momentum,” Mr. Bernier said. He thinks the candidates to beat now are Mr. Scheer and Mr. O’Toole. 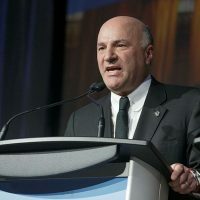 Mr. O’Leary says he hasn’t ruled out a run for a seat in the House of Commons come 2019, and he has his eye on Foreign Minister Chrystia Freeland’s riding of University-Rosedale in Toronto, a typically safe Liberal riding. Regardless of whether or not he runs, Mr. Bernier says he will look to Mr. O’Leary for economic advice through the 2019 election. 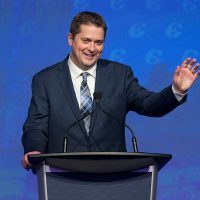 Andrew Scheer and Kevin O’Leary: Bosom buddies or burgeoning baggage?